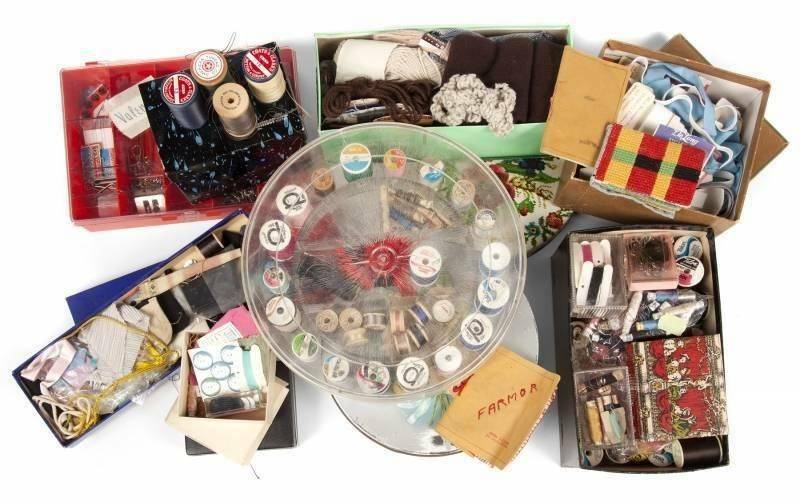 Greta Garbo’s personal collection of sewing notions sold for $1,375 in 2012. In 2012, as a property specialist at Julien’s Auctions, I had the pleasure of working on an auction of property from the heirs of Greta Garbo. Her art collection was sold by Sotheby’s after her death in 1999, but the family waited to part with many of her personal effects before deciding to share them with her fans. In a storage facility, going through Garbo’s clothing, papers, and other items that made up her incredible life, I found something that I desperately wanted. It was the type of item that each of us can relate to either from owning it ourselves or watching a mother, grandmother, or another caretaker foraging through to find what they were looking for. The item was Garbo’s personal workbox of sewing notions. She was known to alter her clothing herself including hemming her own pants or changing buttons on her blouses to others she found more pleasing. Garbo’s sewing box was not only a glimpse into her life and style, but it was also an object that I could relate to. And others, I guess, because I was not the winning bidder. As an amateur seamstress, I tend to hoard sewing notions–these simple staples of daily life. Who needs one thimble when you can have five? I can’t leave wayward pins, crochet hooks, or yarn abandoned at yard sales. It would be like passing up a free kitten. In the next few weeks, I will explore the origins and beauty of sewing notions and tools. These items are imminently collectible at various levels. This introductory article will look at the items that make up a sewing box. The lowly needle that we can now easily obtain is one of the first tools our ancestors would have invented, once humanity decided it needed clothing, as a means to fashion garments. Needles are so mundane they are nearly unwritten of in history. It is speculated that over 50,000 years ago the first needles were made of fish bones. Needles were found in Egyptian tombs and mentioned by Marco Polo, but it isn’t until the 14th century that steel needles appear in Europe. Most likely these were brought to Europe from the Middle East. The development of the needle is not insignificant when we consider all of the different uses and employment of needles. If you disagree, please consult a surgeon for their opinion. Developing separately alongside the needle was the humble pin. Needles serve the industry they work for, so the development was not parallel to pin technology. The first pin was probably a thorn used to hold clothing together. Innovation would lead to bronze pins, then iron and tin. In the late 18th and early 19th century, it took 20 separate operations to make a pin in a factory. Pins and needles were both costly and precious before mass production. A problem with the steel needle and pin was the tendency to rust. A rusty pin or needle was unusable, and it would be expensive to replace. Enter the pincushion and emery to the rescue. Pincushions date to the 16th century, and since then the pincushion has been made into innumerable shapes and sizes. The cushion’s purpose was to protect pins from rust. The emery is a smaller and heavier receptacle for pins that contained powdered emery to help remove rust and to keep needles and pins sharp. Pincushions are a great entry to notions collecting. The only question will be how to limit your collection. Will you collect by size or shape? Material? Era? Message? 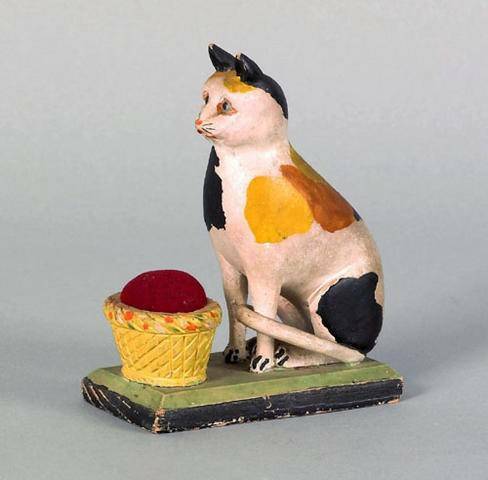 A Pennsylvania carved and painted cat, late 19th c., with basket pincushion, sold for over $14,000 in 2010. Some pincushions were designed for practical use, others were elaborately decorated and embellished with messages. These were more to be admired than for use. In the early 1800s, pincushions were popular wedding gifts for a new bride. Once our ancestors began sewing, they developed the means to make sewing easier. The thimble was developed initially to protect thumbs, which may hint at the name itself as “thumb bells” were worn. 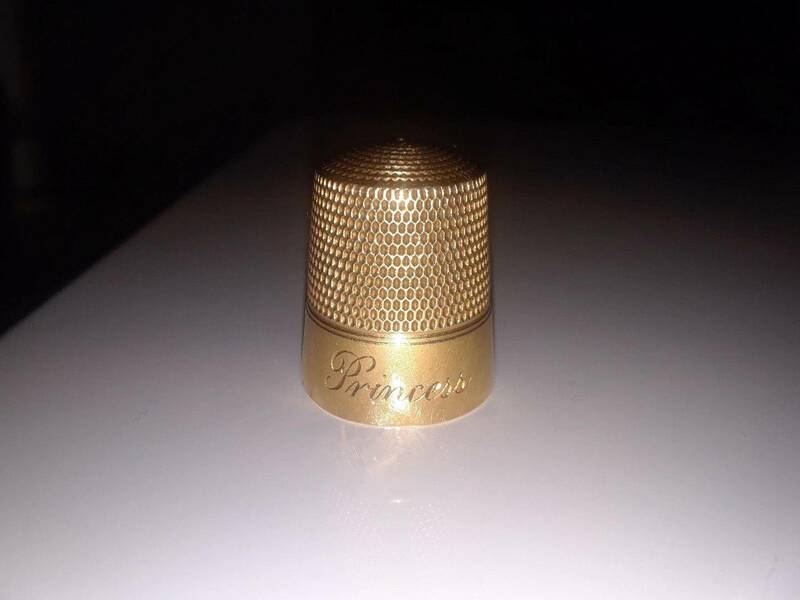 It is known that the Romans used thimbles and made them in bronze, iron, gold, and ivory. They have since been made in any possible material. By the 16th century, thimbles were being inscribed and given as gifts. According to Gay Ann Rogers in An Illustrated History of Needlework Tools (1983), thimbles are the most widely collected of all needlework tools. Often a child would receive a thimble before she was given jewelry. 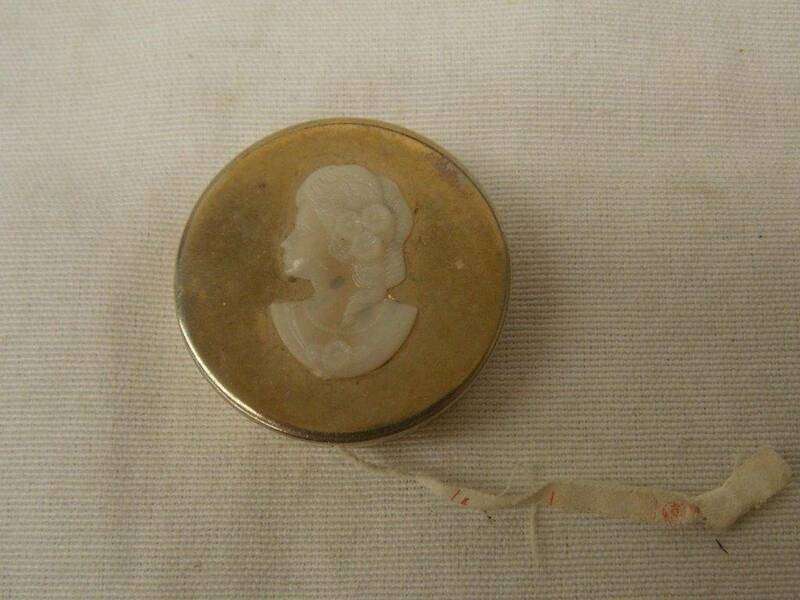 For young suiters, it would be inappropriate to give jewelry to an unmarried woman, but a thimble was an appropriate gift that could be engraved with words of love or admiration. This may be what gave rise to cupids engraved on the band of thimbles. Because there are so many varieties of thimbles to choose from, a collector would again need to limit their scope to maintain a reasonable collection. Or not. A beautiful vintage Simons Brothers 14k thimble, engraved “Princess,” sold for over $100 in 2018. There are other elements that comprise a sewing box including scissors, stilettos, thread, and thread holders. Hopefully, in the coming weeks as this notions exploration unfolds there will be a chance to discuss them fully, but before I end this article, I want to talk about one final component in the sewing box – the tape measure. The tape measure is a notion that may not get much consideration, but this innovation helped sewers more than you may know. Before the tape measure, yard rulers were used for measuring. A yard ruler would be unwieldy for a seamstress to carry. At some point, a clever sewer marked out a yard on a piece of ribbon or string allowing it to be carried easily. I would like to know who that person or people was/were. I suspect it was a woman who created it out of necessity, but this innovation has been lost from the pages of history. This vintage sewing measuring tape sold for $25.99 in 2017.